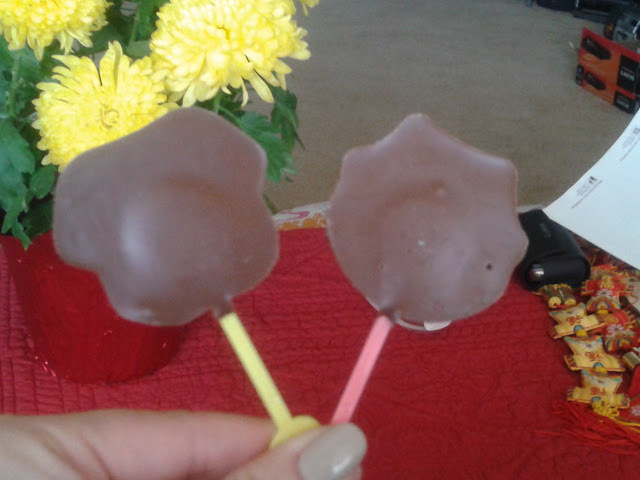 Fujiya Peko Poko Chocolate--on a stick! 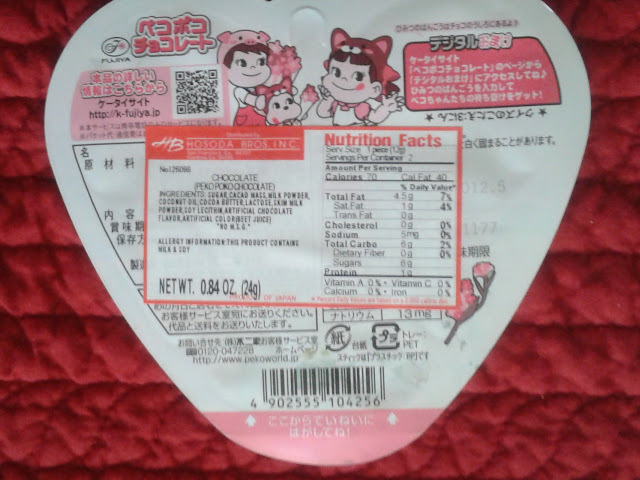 Today's goodie post is on the Fujiya brand Peko Poko Chocolate sticks. How to open the package from the back. 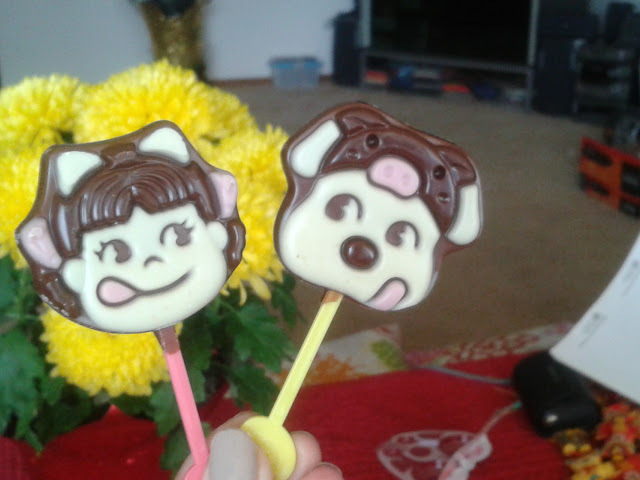 These are basically chocolate on a stick, with one character being a little girl and another one I think to be a dog with a big beanie/hat on. 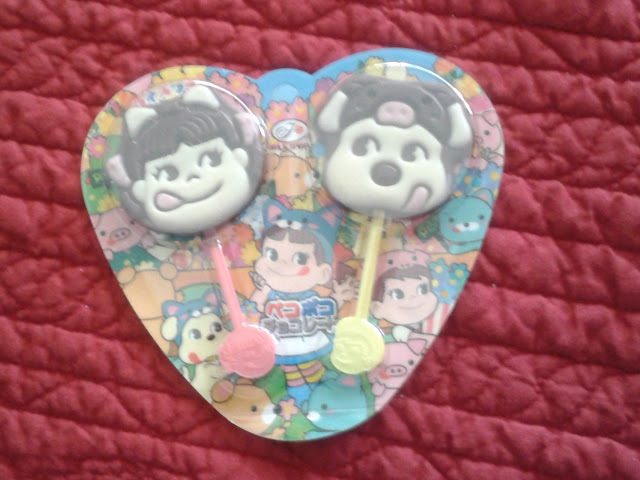 I have to say that I do like the Fujiya brand candies but this product was nothing special. 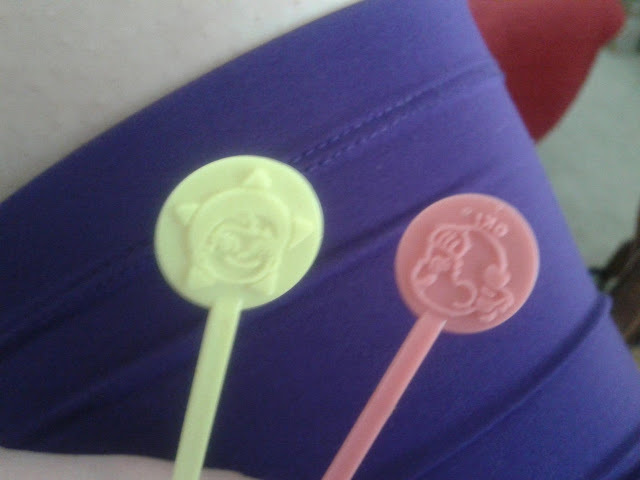 I can see the major appeal they have to children because of the cute faces and the fact that it is chocolate on a stick, however, for me personally, it is just pretty bland. The chocolate wasn't anything super tasty and I didn't really taste any differentiation between the milk chocolate to the white chocolate parts. 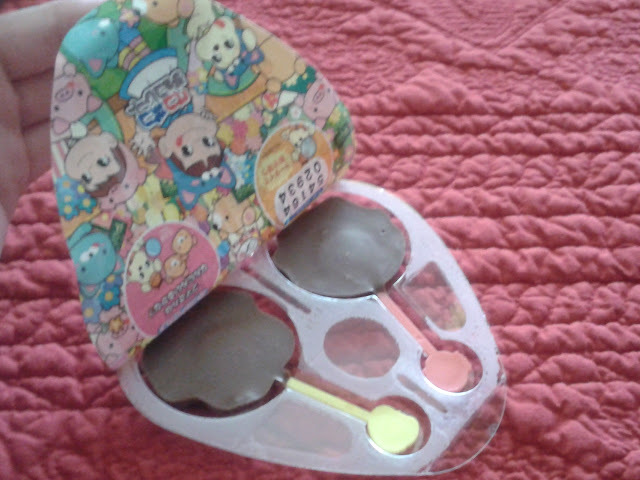 Overall, it is a cute gift to give but nothing I would personally buy again to eat myself.